I have no rig. 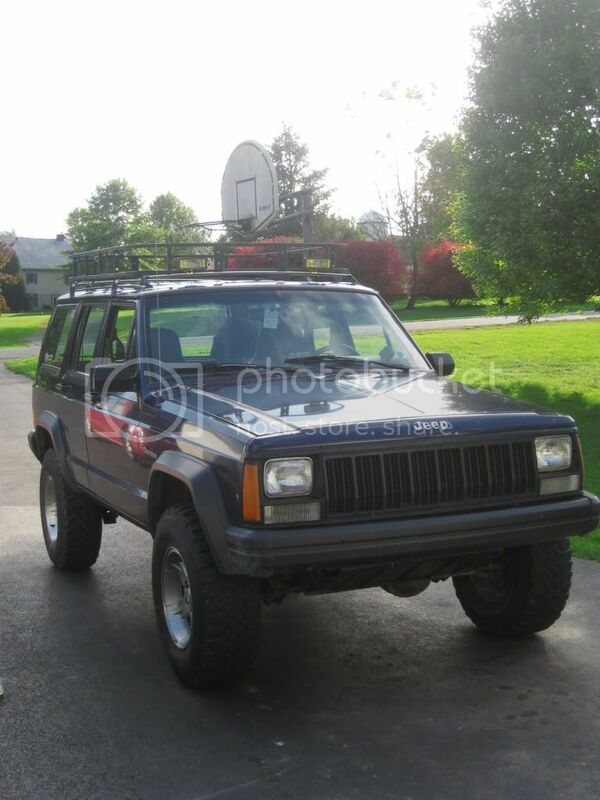 I am helping a buddy fix his 91 XJ up so I can then get it from him on trade with my pitbike after he buys another XJ. Then I am going to help him fix that one as well. 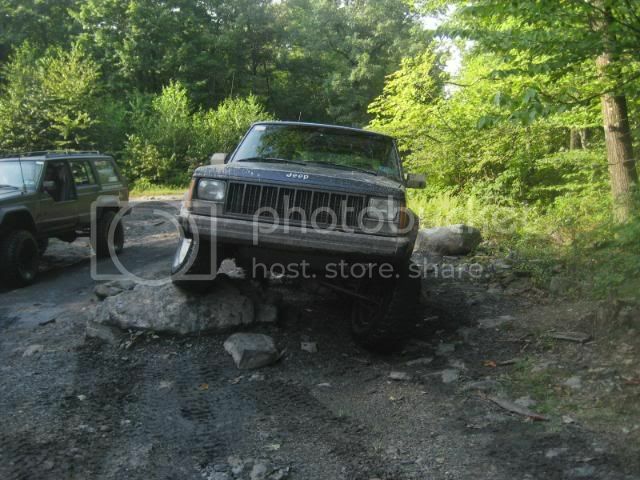 Plus fab up some front bumpers for both and what ever. 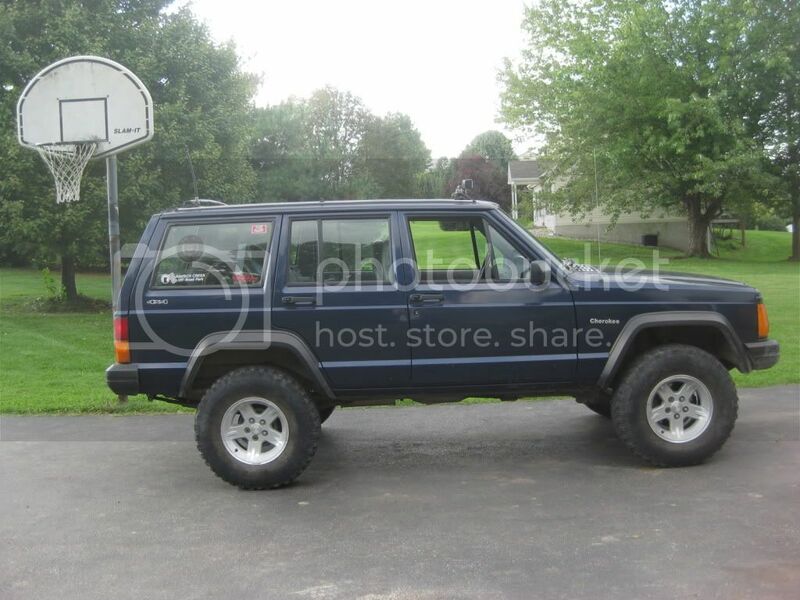 Current mods to his XJ right now are just some used 31x10.5 wranglers on 15x7 93 ZJ rims (better then the 205/75/15s on 15x6 steels), removed fender flares, slight roll on front fender lips to clear tires, spring rubbers in both front springs to level it out and I locked up the vacuum disco motor so the split axle on the pass side is locked and now 4wd works. Next mods planned are Bilstien shocks, trim fender lips, bumpers and any seems in the inside of the fenders/wheel wells that can cut a tire. Maybe paint. Plans if or once I get it are a set of 15x8 4" back spaceing Soft 8s with some 235/75/15 MT or maybe BFG ATs, race seats (might have to steal my aluminum seat from my drift car to do this) and then eventually either lockers or a rear locker and a front 1 way lsd. Maybe nothing in the front. Welcome to CF. I know your Jeep. I saw you driving on 237 near rt 1 yesterday around 5. Your rig looks really nice. 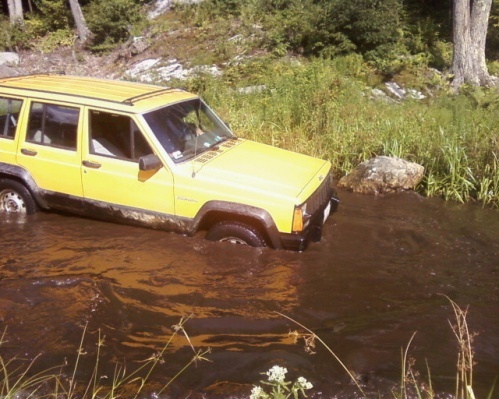 I was on my way to work but my dad had the jeep. I was in his caddy. We should get together. I saw that your in Deja. How do you Like that club? Last edited by cj11; 09-23-2009 at 03:21 PM. I'm from East Hanover, NJ (North Jersey). 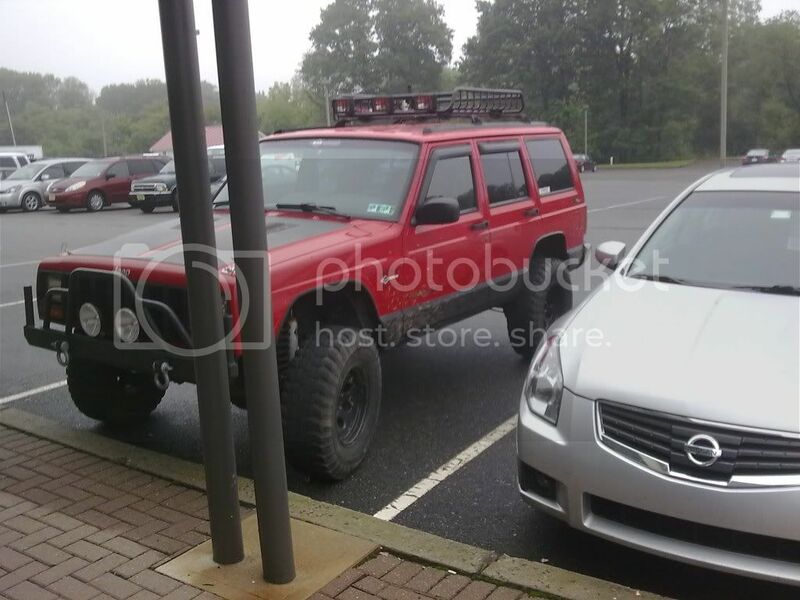 I'm the Secretary of the North Jersey Jeep Club (NJJC). 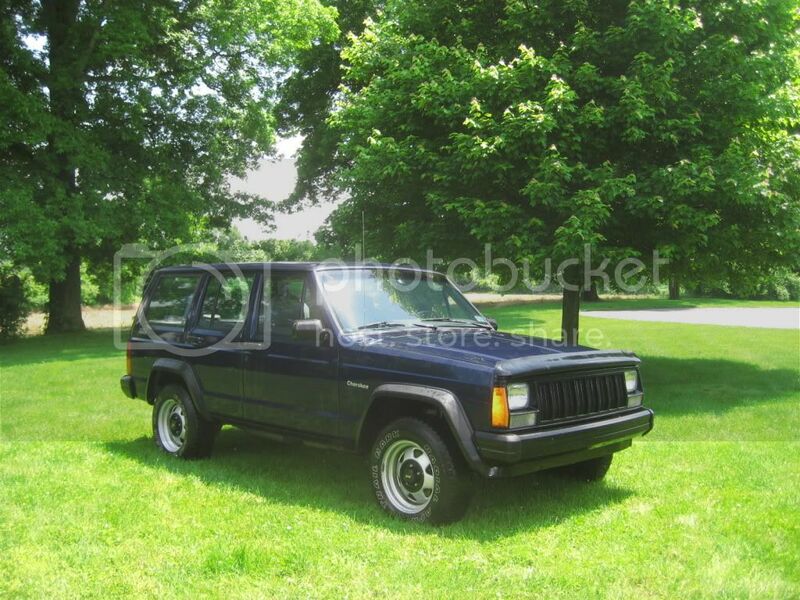 I've got an '00 XJ that's my trail rig and an '01 XJ that's my DD Creampuff. welcome dave! and everyone alse! WOO HOO!!!! we're no longer alone. Welcome Dave! Names Dave, From Ware MA, and I drive a 90 Cherokee 2.5 liter 5 speed. Stock for now. Last edited by OldYellowXJ; 10-10-2009 at 08:47 AM. welcome to CF from mass. is it bright blue by any chance? 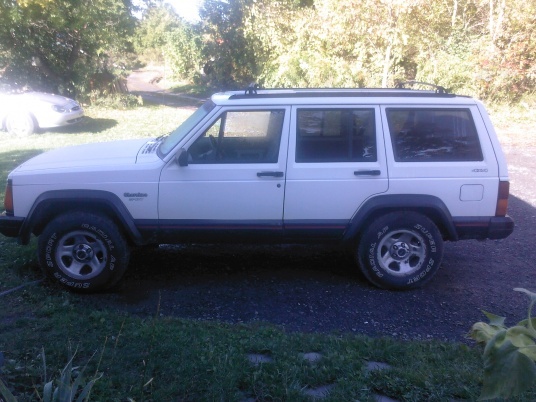 I have had my XJ since May. 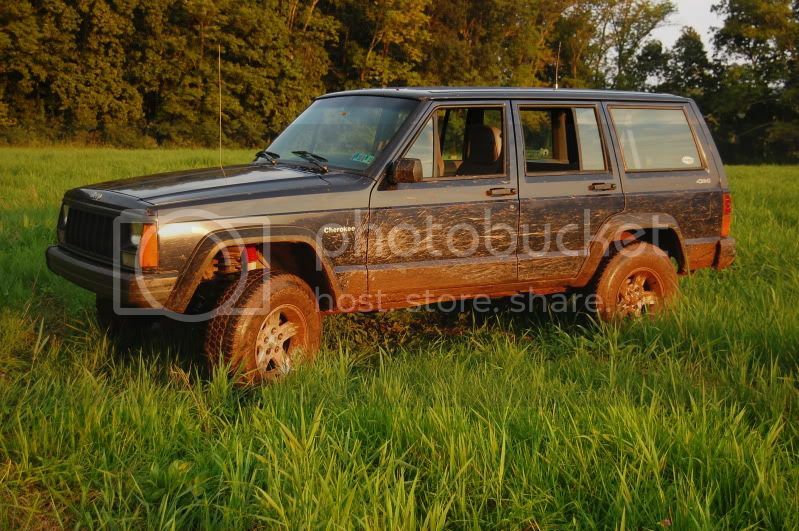 I bought it with 221k on it in mint condishh with no rust whatsoever, and have been building it since on a HighSchool budget. 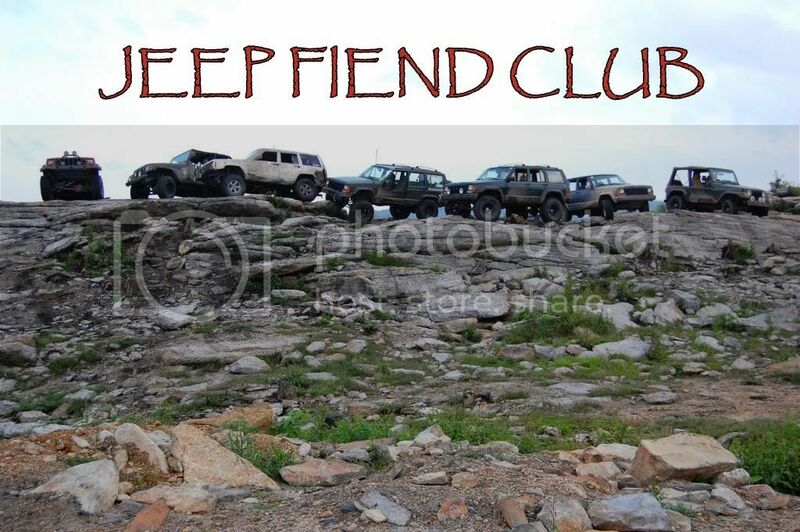 I also joined a local club called the Jeep Fiend Club. 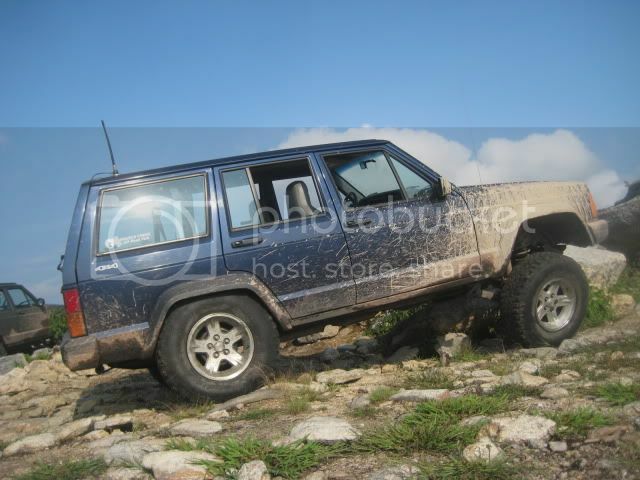 I am on NAXJA and JeepForum, so you might recognize me.